Why is Mike Flynn being sentenced? Even the FBI agents said the 3-star general did not lie! New developments in Flynn’s case raise questions about the circumstances under which he pled guilty to lying to the FBI. Back in early December, Trump fans started throwing stuff at me for suggesting that we await more information about FBI agent Peter Strzok before demanding that he be drawn and quartered. Yes, it was clear that Strzok engaged in serious misconduct: The married G-man’s reported extramarital affair with his married FBI colleague Lisa Page was scandalous not only for the obvious reasons but as potential blackmail material against counterintelligence agents. Plus, Strzok appears to have been the main investigator in the Hillary Clinton emails case that the FBI and Justice Department bent over backwards not to prosecute; and there is reason to believe his rabidly anti-Trump text messages with his paramour crossed the line from arrogant political banter to unprofessional investigative decision-making. But there were dissonant notes, too, cutting against the neat ditty about a high-ranking government agent acting on a corrupt partisan agenda. For one thing, I was hearing from people with good national-security credentials that Strzok was a highly effective counterintelligence agent. And then there was Mike Flynn. The first revelations about Strzok’s texts came only days after General Flynn, who had fleetingly served as President Trump’s first national-security adviser, pled guilty in the Mueller investigation to a charge of lying to FBI investigators. Strzok had conducted the interview with Flynn. Combine that with the fact that he had been a principal in all the important FBI interviews in the Clinton caper, and the presumption crystalized: Political hack Strzok went kid-gloves on the Hillary Gang and scorched-earth on Trump World. Strzok did not decide on his own to interview Flynn. We know the matter was being monitored at the highest level of the Justice Department, by then–acting attorney general Sally Yates and then–FBI director James Comey. Strzok and a colleague were assigned to interview Flynn. More importantly, Strzok apparently reported that he believed Flynn had been truthful. Shortly after the interview occurred, it was reportedthat the FBI had decided no action would be taken against Flynn. On March 2, Comey testified to a closed session of the House Intelligence Committee that, while Flynn may have had some honest failures of recollection during the interview, the agents who questioned him concluded that he did not lie. Far from setting Flynn up, it seems that Strzok would exculpate him. Flynn was prosecuted not because Strzok is an anti-Trump zealot, but apparently because Strzok’s finding that Flynn was truthful was negated by Mueller’s very aggressive prosecutors. Did they decide they knew better than the experienced investigators who were in the room observing Flynn’s demeanor as he answered their questions? Of course, the point is moot now because Flynn has admitted his guilt. Still, I wonder whether Mueller’s team informed Flynn and his counsel, prior to Flynn’s guilty plea to lying to the FBI, that the interviewing agents believed he had not lied to the FBI. I still wonder what Mueller’s team told Flynn before the guilty plea. There are good reasons to do so. Yet, ten months later, with Yates, Comey, and Strzok now out of the picture, Mueller decided to charge Flynn with lying to the FBI anyway. And Flynn decided to plead guilty — perhaps because he was guilty . . . or perhaps because he lacked the resources to sustain the legal fight . . . or perhaps because he feared Mueller’s team would otherwise prosecute his son. There are a few other oddities about the case. After Flynn pled guilty, I argued that this showed Mueller did not have a collusion case. If he did, he would have forced Flynn to plead guilty to some kind of criminal conspiracy involving the Trump campaign and Russia, and had Flynn implicate his Trump World coconspirators in the course of allocuting in court. Instead, Flynn pled out to a mere process crime, giving Mueller a scalp but not much else. The judge who accepted Flynn’s guilty plea was Rudolph Contreras. Mysteriously, just days after taking Flynn’s plea, Judge Contreras recused himself from the case. The press has been remarkably uncurious about this development. No rationale for the recusal has been offered, no explanation for why, if Judge Contreras had some sort of conflict, the recusal came after the guilty plea, not before. We can note that Contreras is one of the eleven federal district judges assigned to the Foreign Intelligence Surveillance Court. We do not know if Judge Contreras signed one or more of the FISA warrants the Justice Department sought for Trump campaign figures Carter Page and Paul Manafort (or even if signing a FISA warrant would constitute grounds for a conflict in Flynn’s case). We can note, however, that Contreras is one of just three FISA court judges who sits in the District of Columbia, where it is likely the Trump-Russia FISA warrants were sought. When Judge Contreras pulled out, Flynn’s case was reassigned to Judge Emmet G. Sullivan. We now know that one of Judge Sullivan’s first actions on the case was to file an order directing Mueller to provide Flynn with any evidence in the special counsel’s possession that is favorable to Flynn, whether on the issue of guilt or of sentencing. Significantly, the order stresses that if Mueller has such evidence but believes it is not “material” and therefore that Flynn is not entitled to disclosure of it, Mueller must show the evidence to the court so that Judge Sullivan may decide whether to mandate its disclosure. Could this provide General Flynn with factual grounds of which he was previously unaware to seek to have his plea vacated? Now, it could be that this is just Judge Sullivan’s standard order on exculpatory information, filed in every case over which he presides. But it is noteworthy that Flynn had already pled guilty, and in the course of doing so had agreed to Mueller’s demand that he waive “the right to any further discovery or disclosures of information not already provided” — in addition to forfeiting many other trial and appellate rights. (See plea agreement, pages 6–7.) It certainly appears that Sullivan’s order supersedes the plea agreement and imposes on the special counsel the obligation to reveal any and all evidence suggesting that Flynn is innocent of the charge to which he has admitted guilt. Could this provide General Flynn with factual grounds of which he was previously unaware to seek to have his plea vacated? Would he have a viable legal basis to undo the plea agreement that he and his lawyer signed on November 30? We do not know at this point. 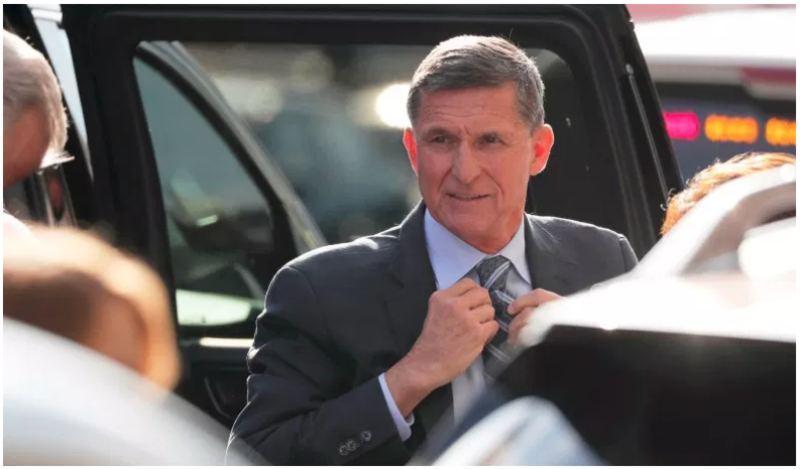 All we can say is that Flynn’s sentencing has just been postponed until May.